I am a person who loves Theatre, Poetry, Karate, Shiatsu, Travelling and talking to people. I also have a personal blog in which I put up a daily poem. You can also find my poems on the group blog Lovin The Asylum. This blog will reappear sometime in the future in a revamped format. Unfortunately that blog was erased in early Jan 2019; as a result I decided to start a second Blog. It is called the Dishevelled Drum. I also write in Ascerblog. More details soon…. Shortly I will add a cast picture.. I also played Antonio in William Shakespeare’s Twelfth Night in 2017. It was also in the theatron Westpark in Munich, Germany. 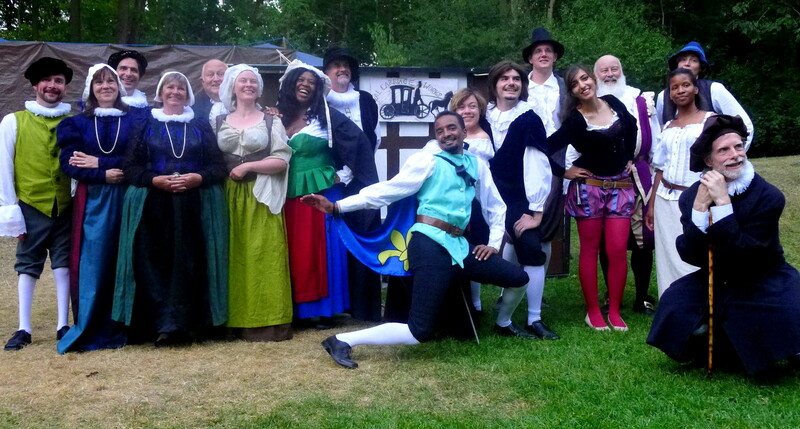 I was involved in William Shakespeare’s Merry Wives of Windsor in Aug 2015. It was performed in the Englischer Garten Amphitheater from Aug 6-9th and Aug 13th-16th 2015. 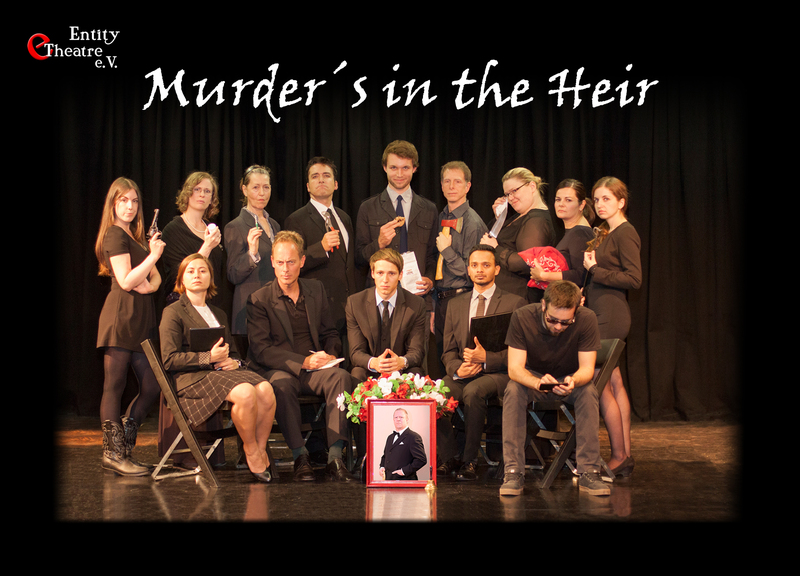 I played the role of Rufus in Entity Theatre e.V‘s production of Murder’s in the Heir by Billy St.John in Nov-Dec 2015 in Pepper Theatre in Munich, Germany. Thanks for your visit to my blog today and for liking my post. I enjoyed visiting here today also. I enjoyed reading your post and your blog. I will definitely come back to read more in the future. Hello Blair. I enjoyed exploring your blog. Thank you for the visit, and like on my post. Blessings. Does your blog accept guest posts? I’d like to contribute if you don’t mind. Thank you for liking my poem Hug Me. I appreciate the approval. Thanks for the like. Hope you find more posts you like. I enjoyed your post as well. I really enjoy going through your poems. I liked your another blog SPORADIC SPRINKLES as well. 🙂 Best Wishes . Thank you for your well wishes and your compliments about my writing. I hope that you are doing good? I am enjoying reading your blog too. I look forward to reading your future posts. 🙂 Best Wishes and warmest Regards. Oh wow, I don’t think I’ve met a theatre blogger yet. I’ll definitely look forward to reading your work! I love Shakespeare! One of the timeless classics. But I’m rambling now. I just wanted to say thank you for taking the time to read my blog. I really appreciate it. Thank you for your visit to my site today. I’m glad you liked my Meet and Greet. Did you find me on Harsh Reality? Jason is a good guy. I saw you have a Tumblr. I’m still trying to figure out how/why it enhances blog growth. I heard it does tremendously. Thanks again for liking my post. Nice to meet you. 1. Post 3 of your favourite quotes each per day for 3 recurrent days. The quotes can be of any other people or it may come straight from your own heart. 2. Nominate 3 or more bloggers with each post to challenge them. 3. Don’t forget to utter a thankful word to the person who nominated you. BJ, thank you for the likes. However, if you don’t actually read my work (which I don’t think you did since you just gave me a bunch of likes so fast I think it’s highly improbable) it’s not necessary. I gladly accept the nomination. I am traveling at the moment and will do it in the next couple of days. If you find comfort through writing, please let me know if you’d be interested in a quick Q&A interview that would link to your blog(s). Thank you, and continue to Write To Heal! Let’s connect and continue to find peace and healing in self expression. Yes, I enjoyed that post a lot. I find a lot of what you write speaks to me in a positive way. I enjoy reading your posts. Writing does help me a lot; I do write to heal and would be happy to take part in your writing to heal project. I traveling at the moment. Would it be okay for you if we do the interview in early January. Please let me know. I will drop you a line soon. wonderful! ok I sent out the email. The sooner you answer, the sooner ur name will be bumped on the list for publication. Nice blog. I hope to visit your other blogs. Have a great year. I love the theatre, and especially Shakespeare! I took a whole class on him in university. I usually worked on the other side of the stage, doing costumes, props, etc. I look forward to following you and your productions! Please grant me access so I can read your site. You are not alone Nandita. I stand with you, as I am sure many others will too. May you find strength and your way during this challenging time.